Is the second time the charm for Norway’s electric car? The landscape of Silicon Valley is littered with technology pioneers who were a little too ahead of their time and failed to cash in, either because the market wasn’t ready or because competitors swooped in and commercialized their breakthroughs. As the first mass-market electric cars hit showrooms, the question is whether Think, the Norwegian electric automaker, has now been early to the party twice. We all know the rest of the story: Low oil prices and California’s abandonment of its zero-emission mandate killed off the electric car. Ford ditched Think, which eventually filed for bankruptcy. In 2006, a Norwegian professor and entrepreneur named Jan-Olaf Willums and a group of investors revived Think to manufacture a next-generation battery-powered City. 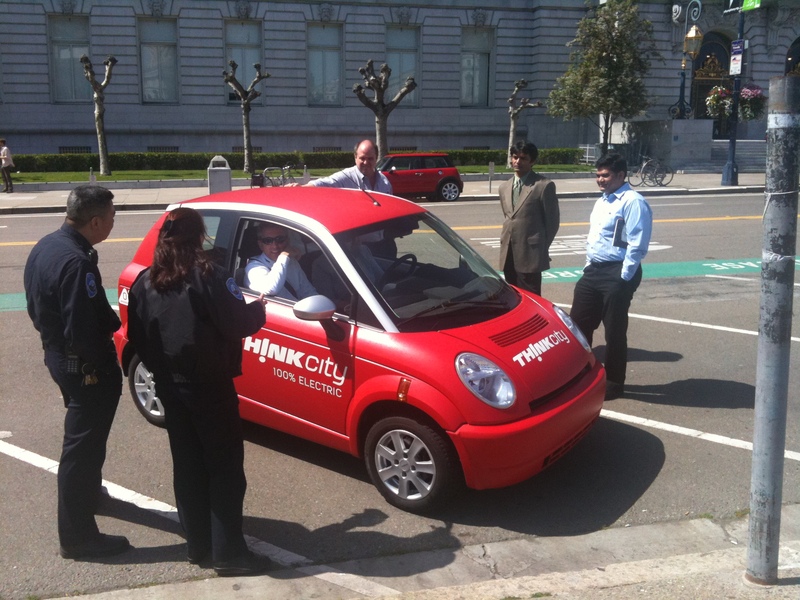 When I visited Think in Oslo in 2007, Willums promoted a vision of the electric car as not an isolated hunk of metal (or plastic, in the City’s case) but as an internet-enabled transportation service that interacted with the power grid — and you — through your mobile phone. Production of the new City began in late 2008, and there are now some 2,500 of the highway-ready cars on the road in Norway and elsewhere in Europe. But as Think prepares to enter the United States market — the company plans to assemble the City in Indiana — it’s searching for space in a parking lot crowded with competitors which have embraced, to varying degrees, Willums’ vision. When I test-drove the Chevrolet Volt in May, General Motors executives proudly showed how you could check on the car’s battery charger and communicate with the vehicle through your iPhone or Blackberry. The Nissan guy riding shotgun in the electric Leaf I drove in July did the same. So how does Think compete against those deep-pocketed competitors offering four-and-five-seat sedans? Engle stresses that Think is not out to compete with GM and Nissan in the U.S., but will focus on a niche market — urbanites who want a small, easily maneuverable electric car. Such cars are popular in Europe’s densely packed cities, where electric cars are exempt from high registration and congestion charges. Then there’s a huge potential market in Asia’s megacities. And if American city-dwellers start to downsize their rides and go electric at the same time, then Think will have arrived right on time.